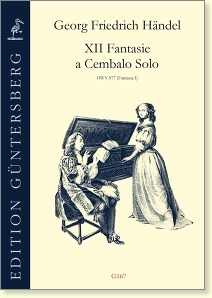 These twelve Fantasias are preserved in two different versions, in three nineteenth-century manuscripts – one of which claims to have been copied from Handel’s original. 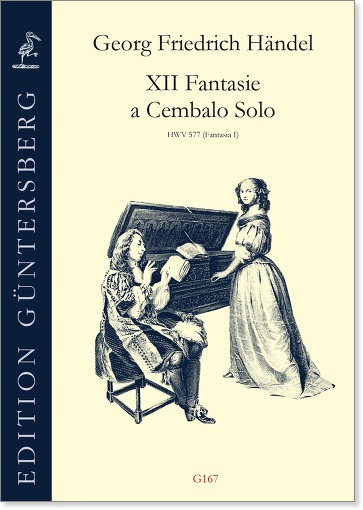 Until recently, only the first Fantasia had been accepted as authentic but Handel scholar Graham Pont has argued that these works form a set compiled by the composer from his improvisations in Italy (1706-10). Keyboard players, and admirers of Handel generally, will find that these miniature masterpieces amply reward careful study, especially in revealing a more intimate facet of Handel’s genius as it was displayed in the private chamber for the delectation of close friends, fellow artists, royal pupils and other distinguished patrons.